Murphy: Liverpool can do it! 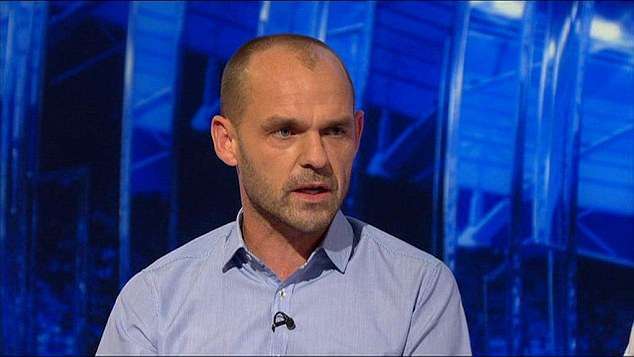 Former Liverpool midfielder Danny Murphy believes the Reds have the best chance of securing their maiden Premier League crown, considering they have an easier run-in when compared to Manchester City for the final 15 games of the season. The Reds have been the Citizens’ main challengers since the beginning of the campaign and they are currently holding a solid four-point advantage at the top of the standings. Speaking to Match of the Day 2 programme, Murphy indicated that the Reds should believe that they can end their long-wait for the Premier League title after overcoming bogey club Crystal Palace in a 4-3 thriller over the weekend, he said: “I said last night that now I believe that Liverpool are going to win it. And I mean that because of things going for them even when they’re playing not so well and winning games. Liverpool had the opportunity to put themselves 10 points ahead of the Citizens at one stage but that could not happen after Pep Guardiola’s team secured a 2-1 triumph against them. Nonetheless, that result has not deterred the progress of the Merseyside outfit and they have scrapped through a couple of close triumphs over Brighton & Hove Albion and Crystal Palace to maintain the four-point lead at the top of the standings. Whilst the the best weekend football predictions found here, the fact taht they face only 2 of the current top 10 in their next eight games shows that they have a chance to really jump ahead of their rivals. The Reds are now scheduled to have a free weekend after their elimination from the FA Cup at the third round itself. Thereafter, they have a home game against Leicester City and the game promises an entertainer, given the Foxes have looked competitive against the elite teams this term. The east Midlands outfit have already got the better of Chelsea and Manchester City this season. With the transfer window set to close, it will be ineresting to see if any of the big title contenders (Manchester City and Tottenham Hotspur are the only ones with a realistic chance of catching Liverpool) make any ket signings in what has been a quiet window, even by January’s standards.